About 25 students from UH have been involved in BSM recovery efforts, going out to multiple houses and churches to pull out furniture, remove drywall and help homeowners sort through their belongings. 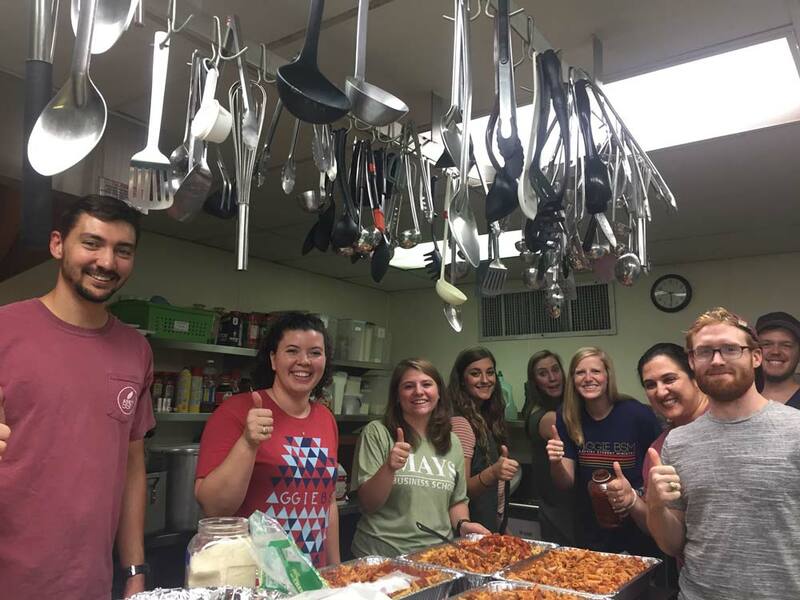 Since Aug. 25 when Hurricane Harvey hit, 37 teams from 24 Baptist Student Ministries, totaling 714 students have worked on relief projects in Corpus Christi, Houston, Beaumont and the surrounding areas. One of the churches UH students helped had an older congregation who couldn’t do that type of heavy labor, Rutherford said, adding that their work saved that church because if it had just sat there, it would have molded. Rutherford was moved by the sweetness of the students as they worked. “When they’re sorting through people’s treasures or taking down the walls from their children’s rooms, to see students very quietly step in there and start working, but being gracious in that process. It brings a little bit of life to that family,” she said. Watching the way the Church came together in this time of crisis also had a great impact on Rutherford. 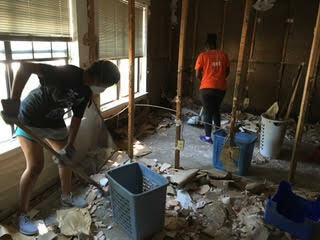 Another group busy with recovery efforts is the Aggie BSM from Texas A&M University. He said they also did work in the Memorial area of Houston, where the destruction was so bad that it made him think of Hurricane Katrina.